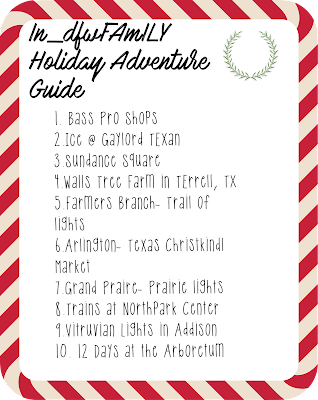 What will you be doing this Holiday season in Texas and beyond. Look no further because I have you covered. This is a List that you will want to print out and enjoy with family and friends. Some of the amazing adventures can be done with other mommies as a play date option. enough rambling and lets get to it.